It followed a question from Councillor Mannix Flynn. OFFICIALS IN DUBLIN City Council have said the city has suffered from a rat infestation due to the warm weather increasing rodent breeding. The comment was made in a meeting of the South East Area Committee last month following a question by Councillor Mannix Flynn. Flynn had sought a report about what he said was a rat infestation in “certain flat complexes” in the area and about what measures were being taken to alleviate the problem. In response, DCC management said that it was a Europe wide problem this year. “This summer, Dublin, like most major cities in Europe, has suffered a rodent infestation,” the reply stated. The long spell of very warm weather apparently has increased their breeding. Building works have disturbed nests and the increase of fast food outlets and discarded food waste, together with the fact that many of our complexes are located near to canals/rivers, the natural habitat of rodents, are also contributory factors to the rodent increase. “The problem is not particular to the South East Area but is a city wide issue and whilst we will never eradicate it completely, the city council and the Health Services Executive (HSE) work hard to alleviate it,” the officials added. DCC said that there are “dedicated” and “highly trained” teams working on the problem and that they comply with relevant standards. Email “Dublin City Council blames 'rodent infestation' on warm weather rat breeding”. 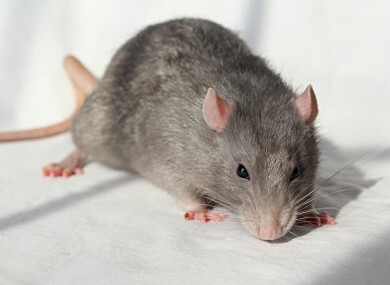 Feedback on “Dublin City Council blames 'rodent infestation' on warm weather rat breeding”.